After an incredible London Fashion Week Festival One and Only have now replenished their bestselling stock to bring you an October sale you’ll never forget. 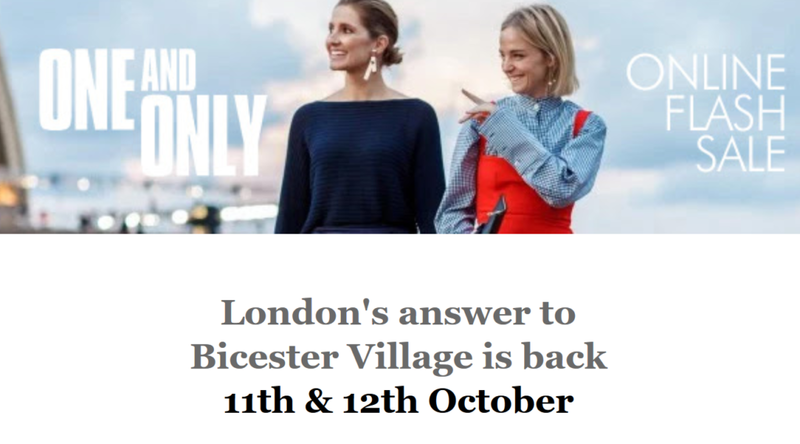 Their next sale is on the 11th & 12th October at 35 Baker Street where they’ll be bringing you the winter edit your wardrobe so desperately needs. One and Only's focus this month is ACCESSORIES so expect more shoes, boots, handbags and scarves than ever before! You can also find the coveted Teddy Coat silhouettes, streetwear Parkas, along with rails of stunning knitwear and cashmere.